The Land of Moshiach (the Messiah). In parsha Vayigash, 46:28 it says [Jacob] sent Judah ahead of him to make preparations in Goshen (Goshnah).” Goshen (Goshnah) has the same 4 letters as the Chanukah dreidel, and likewise they add up to 358, the numerical value of Moshiach, the Messiah. This is the area within Egypt (or really outside it) that Joseph arranged for his family and the Israelites to live in exile. The name Goshen (גֹּשְׁנָה Goshnah) is only found twice in the Torah and hints at the two Mashiachs, Mashiach Ben Yosef and Mashiach Ben David, connected to Joseph and Judah respectively. By Joseph reuniting with Jacob, the spirit of Mashiach was restored, and the flow of mazal through Joseph could go to the Israelites, instead of the Egyptians who had been the previous beneficiaries. The Torah is also telling us that the spirit of Mashiach can be anywhere, even in the darkness of Egypt if we stay connected to the source of the Light, which is a message we need to hear now, more than ever. Nevertheless, with Goshen(גֹּשְׁנָה GShNH), the Torah is also spelling out the travels of the Mishkan (the Tabernacle) and the Ark of the Covenant, whose final home was prepared by King David in the Holy Temple in Jerusalem: G for Givon; Sh for Shilo; and N for Nov. The name Goshen (גֹּשְׁנָה Goshnah) really translates to “toward Goshen” as the Torah is pointing us toward Mashiach. 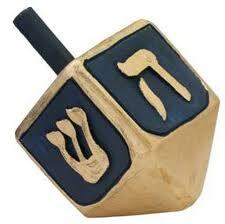 And the dreidel only spells out numerically Mashiach (גֹּשְׁנָה) outside of Israel. Inside Israel the letter Pe, for Po, here, is substituted for the Shin, just as Goshen is also outside Israel, in the land of exile. The second instance Goshen is spelled (גֹּשְׁנָה Goshnah) is in the mystically important verse Bereshit 46:29 “Joseph harnessed his chariot and he went to greet his father in Goshen.” According to the Zohar, the word for chariot used here is merkava, as in the the chariot, or vehicle of divine revelation, described in Ezekiel’s famous prophetic vision (Ezekiel 1). Obviously, Goshen was a very special place, where the Israelite population would explode from 70 to 600,000 in preparation for the reception of the Torah and the Tree-of-Life and the fulfillment of the Covenant of Abraham (the Covenant of Halves) as God reiterated to Jacob earlier in the portion (Vayigash). With the kolel of 1 the initials of the verse total 107, and as we know, the sum of the integers through 107 is 5778, the year (2018 ce) Rav Ashalag and the tzaddikim prophesied for the final redemption (geula) and Moshiach. 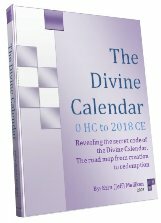 We know the tie in to Moshiach is beyond dispute, but as for the intent to point to 5778 (2018 ce) we need further proof. Mirroring the ascention of Joseph to meet the Divine presence in the first verse of this chapter, “God spoke to Jacob in a night vision and said, “Jacob Jacob.” While the gematria of these double words less the kolel of 1 is 363 that of “H’Mashiach (The Messiah),” what these double words do is connect with the other set of double words, earlier in the portion at Bereshit 44:28: Tarof Toraf (TtRP TtRP). And the secret of these double words is that they add up to 2018 in gematria sofit or 578 in simple gematria. Now, as regarding the mysterious double words, the Covenant of Halves, and the connection to King David mentioned earlier, half of period from Adam to Moshiach in 5778 is 2889, which is exactly midway through the 70 year life of King David. 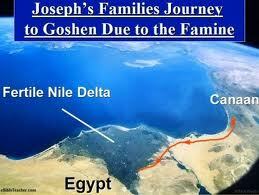 To be continued with the the secrets behind the 70 Israelites who moved to Goshen. 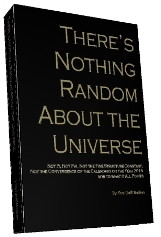 Author Jeffrey MeilikenPosted on December 12, 2010 December 21, 2010 Categories RevelationsTags 107, 2018, 358, 363, 5778, 616, Ark of the Covenant, chariot, covenant of abraham, covenant of halves, end of days, exile, Ezekiel, final redemption, gematria, geula, goshen, goshna, Holy Temple, Jacob, Jerusalem, Joseph, king david, Mashiach, merkava, messiah, Mishkan, Moshiach, prophecy, Rav Ashlag, tabernacle, Torah, tree-of-life, zohar3 Comments on The Land of Moshiach (the Messiah). This weekend we read Parsha Shemini, meaning the 8th, the 28th portion in the Torah. A fews days earlier we celebrated the 8 days of Pesach and read from Ki Thisa and the 13 Attributes of G-d (Exodus 34:5-7). As usual the clues to the secrets of the Torah portions are concealed within their first few words. The parshat of Shemini begins with the 3 words “V’yhy byom HaShemini” (” ויהי־ביום־השמיני”), “And it came to pass on the eighth day,” whose total value is 504. Now this is very interesting because the Talmud states that in this portion at Leviticus 10:16 is found the midpoint of the Torah in words, which most people have understood as a place where there are an equal number of words before and after this point, but they are wrong. The midpoint that splits the number of words in two equal parts is at Leviticus 8:15, which can be easily verified with word-counting software. Nevertheless, at Leviticus 10:16 is found the midpoint of the Torah in terms of the 77 pairs of the mysterious double (twin) words–words that are duplicated side by side like railroad tracks running through the Torah, often words with the exact same vowels too and which have seemingly no reason for being duplicated. Here at Leviticus 10:16 are found the two words darosh and darash ( “דָּרֹשׁ דָּרַשׁ” ), each with the value 504. Most scholars translate them as one word, “inquired,” but darosh (“דָּרֹשׁ”) conveys future tense and darash (“דָּרַשׁ” ) conveys past tense, thus the act of inquiring has the answer already implicit in it, or in other words, “Ask and ye shall receive,” or “Ask, because on the spiritual level you’ve already received.” It’s easy to see how one could make this mistake since 504 is the numerical value for the word chatzot, meaning “midnight,” or “half,” or “middle, and unbelievably, there are exactly 50 (fifty) 504‘s in the Torah, 25 in each half once it’s split at darosh darash. And yet another important fact overlooked by Torah scholars for millennia is that 504 is the exact square root of the collective number of words, letters, and verses in the Torah, since as R’ Chaim Vital of blessed memory points out, all Torah light is spread through squaring, this central place in the double words can be viewed as the central point of spreading for all the Torah light. The combined value of the two twin words darosh and darash (דָּרֹשׁ דָּרַשׁ) is 1008, or 1000 (keter) plus 8. Not coincidentally there are 77 twin words in total as the sum of the first 8 words in the Torah is 3003, which is the 77th Triangular number, and thus the sum of all the integers from 1 to 77, the sum of all the latent energy in all the whole numbers through 77. According to the Arizal, 77 is Mazal (MZL), as is the number 8, and as is the 8th of the 13 attributes, which we just so happened to have read this week as well. And as we discussed it our last article, the sum of the 9 (3 x 3) words up to the 8th attribute (through the 7th) is 1089 or 332. And incidentally, there are 33 letters in those first 8 words of the Torah. It’s also noteworthy that 504 = (248 + 256) is the sum of the values of Abraham (248), or alternatively Bamidbar (Numbers, 248), and of both Aaron and the “Ark of the Covenant” (256), or alternatively Devarim (Deuteronomy, 256), two Books and numbers at the heart of the Torah. And while (256 – 248) = 8, its more significant because the letter koof (“ק”), whose value is a perfect 100 which can be split 50/50, is found 2488 times through Leviticus 8:15, the Torah’s midpoint in words, and 2568 times through the midpoint in Leviticus 10:16, its midpoint in twin words, both of which are found in parasha Shemini , the eight (8th). Incidentally, 2488 is the year Moses died. And as we discussed in the last article, the sum of the gematria sofit of the 13 attributes up to the 8th one is 3339 and 3339/13 = 256.8. According to the Maharal, “Whenever we find the number 8 used, it is in reference to something that brings one into the spiritual realm;” it’s going one above the limitations of the 7 states ( sefirot) that lead from the 3 levels of the divine spiritual world to the physical one. Thus the equation 504/8 = 63, which gives us the numerical value of Binah (63), the first of the 3 upper sefirot, is by no means a coincidence, and just a reinforcement of the fountain of mazal available to us through these connections. We know from the Arizal that there are two numbers that connect us to Binah and thus help us to go above our limitations, which is a connection to mazal, 8 and 13, which is why there are 13 attributes and which is one reason the 13 attributes are read during the 8 days of Pesach and are thus connected to Shemini, the 8th. Mathematically, it also just so happens that 33 times the sum of the integers though 13 also equals 3003, just like the first 8 words or 33 letters in the Torah. All Kabbalists know that 91 is the numerical value of the word Amen (” אמן”) which is kabbalistcially represented by the potent unification of the Tetragrammaton (יקוק) with Adonai (אדני) and that through the unifications we get closer to the Creator, what few realize is that 91 is the sum of the integers through 13, or ( 1 – 13) = 91, and we know from chazal that this summing up is equivalent to the accumulative energy and attributes of all that’s inclusive, and thus a more powerful force to be reckoned with. Of further note, while the mathematical definition of a triangular number gives us (772 – 77)/2 = 3003, more significantly is that of the 1024 different word values in the Torah, there are exactly 77 repeated only once, in other words: Of the 80,000 – (3 x 8) words in the Torah, there are only 77 with unique values, and also as we’ve said, 77 twin pairs. There are no coincidences in the Torah, not even the fact that 8 times 77 equals 616, the numerical value for the H’Torah ( ” התורה” ), “The Torah” itself, or that the gematria ketana, of value 616 is calculated as 6+1+6 = 13, and can be represented as the letters vav-alef-vav, ( ” ואו”), which we know from the Arizal connects us to aspect of the spelled out Tetragrammaton (“יוד־הי־ואו־הי “) at the level of Sag or Binah, the 8th sefira of numerical value 63, just like 504/8 = 63 and just like the sum of integers from 8 to 13, the two numbers associated with mazal/fortune, in other words (8+9+10+11+12+13) = 63, the value of Sag, Binah. And if we go back to where the portion Shemini started–V‘yhy byom HaShemini” (” ויהי־ביום־השמיני”)–we see that the initials of the first 2 words total 8 and the initials of all 3 words, “And it came to pass on the eighth day” total 13. And for complete disclosure the sum of the numbers in between them (9+10+11+12) = 42, as in the 42 letters of the 13 attributes through the 12th word, and of course the 42-Letter Name that has the power to channel the mazal when used correctly. In summation, kabbalists would use this portion, especially the darosh darash (” דָּרֹשׁ דָּרַשׁ”) at Leviticus 10:16 to connect to improving their good fortune and mazal, which we’re told is what the 8 days of Pesach connections are supposed to help us do. The numerical value of 8 as in Shemini, the 8th, helps us to go above creation, which we can read as destiny, and is illustrated by one last divine equation: 8, representing mazal, times the sum of the integers through 13, which represents mazal , the 13 Attributes of G-d and the numerical value of ahava אהבה)) “love” is 91 x 8 = 728, as in the 7 words and 28 letters of the Torah’s very first verse and Creation itself. And for those that understand, the first letters of the first 8 word of the Torah add up to 28, alluding to Shemini, the 28th portion in the Torah, and spelling out B’ahava vav-alef-vav. (“באהבה־ואו”), or “Lovingly vav” at the level of Sag/Binah. Both mazal and love await those that get closer to the Creator and the Torah and through these powerful connections we all have the opportunity to go beyond our destiny. And so it did come to pass this past 8th day of Pesach, and will come to pass after 8 years as the tzaddikim have advised: B’ahava (In Love). In the end as in the beginning. Why is the verse V’Ydber Adonai El Moshe L’emor repeated so often in the Torah and what does it have to do with Creation? In an earlier article we discussed how the verse “ וַיְדַבֵּר יְהוָה, אֶל-מֹשֶׁה לֵּאמֹר ” V’Ydber Adonai El Moshe L’emor breaks down two words at time through gematria (248, 376, and Lo Mar) to the blessing of He will bless you with (248): Mercy (248), Peace (375) and No Bitterness, and the distribution of multiple occurrences of this verse in certain specific portions so we wont go into that again. Taking the first letters of the words in the verse, two words at a time (VY, EM, and LM), just as in the blessing, we have the values, 16, 41, and 70 for Lo Mar “ לא־מר ” . The first two letters (“ ױ ”) of V’Ydber and also the second three (“ ידב ”) and the last three of the second word, the Tetragrammaton (“ יהו ”) also sum to 16, which is the ordinal or alphabet placement value of the letter Ayin (“ ע ”) whose standard gematria value is 70. And 70 are the number of times this verse is repeated in the Torah. As for 41 and “ אמ ” we’ll get to that shortly. Concerning the 70 times the verse V’Ydber Adonai El Moshe L’emor of total value 913—the only verse of this value ( The unique value of this verse is 895 plus the kolel of 18 for the 18 letters of the verse ) in the Torah—is repeated in the Torah, we know 913 is the value of the Torah’s first word Bereshit , and that according to the Tikkunei Zohar there are 70 valid interpretations of Bereshit , in other words 70 connections to the seed level of creation. Seventy is obviously representative of the 70 sub- sefirot of the Zeir Anpin and a connection to the 70 family members of Jacob that entered Egypt and through which all the 600,000 Jewish souls passed. There’s also a connection to the 70 Elders who got a share of Moses’ divine presence with which to prophesize and help guide Israel. And also to the 70 Nation, their 70 languages, the 70 ministering angels, and the 70 bullocks sacrificed during Sukkoth. And also to the 70 years of Babylonian exile and to both the fall of the second Temple in 70 CE and to the 70 years that Adam gave up of his 1000 years lifespan to King David so that he could live to age 70. How does the verse connect us to Keter and to Secrets? Mathematically—the physical imprint of the spiritual world—70 represents the highest level, keter, in that the sum of the logs of all the integers 1 through 70 is 100.0 (keter). Spiritually, 70 is also the gematria value of the word, “ סוד ” Sod , secret, as in the 70 levels of Sod , secret understanding of the Torah, or as the Zohar puts it, the 70 faces of the Torah. This is why, according to the Baal Shem Tov, of blessed memory, we use wine in our cups to do blessings over non-specific items: The cup, or vessel, is the malchut and the wine “” of numerical value 70, represents the 70 sub-sefirot of Zeir Anpin which connects us to sod, secrets. In other words, the act of the proper blessing, creates a unification and connects us to secrets. Now we can see that the first letters in each of the 5 words of this verse add up to 87 and 87 plus 913 equals 1000, which is “ אלף ” eleph, and consequently the letter aleph of the same spelling. The significance of this is that through this verse, which seeming implies that God spoke to Moses prior to the spiritual writing of the Torah, the letter Aleph precedes the initial Bet in the Torah. We also see the parallel of the 5 words to the 5 kabbalistic worlds (levels of existence) and the 5 Books of Moses. And since the ordinal value of first two words of the Torah sum to 99, added the aleph would bring them up to a perfect 100, or the level of keter. We also know from the Baal Shem Tov, of blessed memory, that the Name Ani Hashem “ “ is a unification of the upper and worlds, or of the Shechina (Ani)/Malchut with the Tetragrammaton (Havayah) “ ” representing Tiferet (Zeir Anpin). And the numerical value of that all-important unification is 87, which is why the first letters, or seed level consciousness, of the 5 words in the verse had to be 87. What did Abraham say of the number 87? Before we see to what Abraham’s Sefer Yetzirah (The Book of Formation) connects the number 87, we should note that the sum of all the letter value word occurrences in the Torah is 7570 whose square root is 87.00…. In other words, this is the amount of times words with the value of the 22 individual letters appear in the Torah; for example gimmel has a value of 3 and words of that value appear in the Torah 68 times. Now, referring to Abraham’s description of the 10 sefirot, 87 is the value of Beli-mah “ “ meaning a profound nothingness. Abraham’s description is far more descriptive in Hebrew, as the word breaks down to Bet-Lamed-Yud of value 42, an obvious reference to the 42-letter Name and Mah of value 45, another obvious reference to the attribute of the Tetragrammaton at the level of Zeir Anpin, and is known as Mah. The Bet-Lamed-Yud itself is quite descriptive since, as Rabbi Chaim Vital of blessed memory explains, the 42-letter Name corresponds to the 32 Paths of Wisdom (Bet-Lamed of value 32) and the 10 Sefirot (Yud of value 10), and moreover Bet and Lamed are the first and last letters of the Torah respectively. How does this verse connect us to fortune? Moses blessed us with the Aleph. Aleph has a value of 111 and eleph spelled the exact same way means 1000. In Devarim 1:11, just before he passed away, Moses blessed the Israelites with “May G-d, the G-d of your forefathers increase you a 1000 fold.” Since G-d had already blessed the Jews to be as numerous as the dust on the earth, Moses was blessing them with a connection to Binah, as explained by the Arizal. It is said that the Torah is designed to constantly connect us to Mashiach consciousness, how does this verse do that? According to chazal, the final letters in a phrase indicate the future, and thus the 5 final letters in this verse sum to 441, when the kolel of one is included and this is the value of Emet, truth and it’s well known that the Torah is Truth. Thus the Torah exists in the future in reference to this verse. In other words, this verse preceded the Torah. When we deduct the first and last letters from each word of this verse, plus 10 for the ten letters and thus the primordial 10 sefirot they represent, we get the 8 central letters that are equivalent to 358, the value of Mashiach, the Messiah. So if G-d spoke to Moses prior to the supernal giving of the Torah, then Moses existed on a soul level prior to Adam and creation and he could be expressed in the Aleph that precedes the Bet ands thus he could be the Mashiach as many of chazal have expressed. How is the 42-Letter Name Truth? The Shem Mem-Bet or 42-letter Name is also Truth. Emet is spelled Aleph-Mem-Tav. Likewise, the 42 letters begin with Aleph and ends in Tav and has 40 letters in between with 40 being the value of Mem. Moreover, the letters koof, yud, are derivative from aleph in that their values reduce from 100 to 10 to 1 and the value of emet is 441, while among the 42 letters there are 4 koofs, totaling a value of 400; 4 yuds, totaling a value of 40 and 1 alef or value 1, so the 3 derivatives of aleph add up to and align perfectly with 441. It’d known from chazal that the 42 Letter Name is also integrally connected with the famous name Ehyeh Asher Ehyeh or “I am that I am” and that the 2 Ehyeh “ “ in the Name, each of value 21 can be squared, 212, to equal 441, emet, and that they sum to 42. What does this mean for the 42 Letter name? According to the Arizal, all enveloping lights (Or Machief) are derived from the name Ehyeh; therefore, the Shem Mem-Bet is enveloping light. If this verse is representative of the Torah and Truth and the same is said of the Ana B’koach (Shem Mem-Bet), how does this verse connect to the Shem Mem-Bet (42 Letter Name of G-d)? The first 2 words of the verse have the standard gematria value of 248, as in Abraham, mercy, and the full 4 spelled out aspects of the 4-letter Tetragrammaton. And while the Torah’s first verse has a total value of 2701, which is equivalent to the sum of the integers through 73 (chochma ), the sum of the integers though 70 is 2485, indicative perhaps of the sum of the names of the 5 books of the Torah, 2480. Moreover, 70-28 = 42. Now the very first word, V’Ydber, has standard gematria value of 222, and an ordinal value of 42 as in the Mem-Bet Shemot , but 222 is the base 4 value of the base 10 number, 42. And while the Torah has 248 columns and 42 rows and that we can say this verse encapsulates the physical blueprint of the Torah, we can also see that at the seed level this verse is strongly tied to the “ מ״ב־שמות ” Mem-Bet Shemot. This is crucial because we know from chazal that the Mem-Bet Shemot preceded the Torah and the full value of the 42 letters of the 42 letter Name is 3701 exactly 1000 more than the value of the Torah’s first verse (2701) represented by the letter “ א ” aleph as discussed above. As for the number 222 and base 10, the Tetragrammaton is found 222 times with an interval of between 2 and 10 in the Torah and 4 times that or 888 times with an interval of 1 up to the Book of Numbers. The Sefer Yetzirah, or Book of Formation, says that numbers are the foundation of existence. 248 is one of the most significant Torah numbers with extremely positive connotations and representative of the love of Abraham. Indeed the 4th Book in the Torah, Bmidbar, which is called Numbers in English, has a numerical value of 248. It’s also the value of Romach “ “, the spear used by Pinchas, according to the Zohar, to unite Zeir Anpin and Malchut and thus end the plague that had already killed 24,000 or the 600,000 Israelites. 248, like all significant Torah numbers, is a point in hyperspace that has specific attributes and that can be accessed when connected to properly. They are like web addresses in the hyperspace of the Internet, virtual places from which we can download real information that can help us. And the simple Torah equations that link them together are like the algorithms that Google uses to search through the virtual universe and find them. Interestingly enough, when we deduct out the value of this first word, 222 from the total raw verse valuation, 895, we get 673, a not so cryptic reference to both Binah (67) and Chochma (73). Not surprising because of the 70 verses: 10 are in Shmot (Exodus), corresponding to the 10 Commandments and the level of Keter; and 27 are in Vayikra (Leviticus), and 100 (keter) less 27 equals 73 (Chochma); and 33 are in Bamidbar (numbers) and 100 keter) less 33 equals 67 (Binah). And since the breakdown clearly represents the upper 3 sefirot it’s also not surprising that 10 equals 3 x 3.333 and 27 equals 3 x 3 x 3 and 33 is 33. The last two words of the verse Moshe L’Emor add up to 616, the value of H’Torah “The Torah,” and also the number of times the name Moses appears in the Torah without prefixes. And the square root of 616 is 24.8, the same gematria as the verse’s first two words, V’Ydber Adonai. What’s the connection with 333? Besides 3 representing the kabbalastic balance of the right, left and central column or positive, negative and neutral system of the universe and sefirot. 333 is also connected to the 42-letter Name. Many people know of the 42-letter Name, also known as the Ana B’koach from the prayer derived from the Name, but very few know of the upper 42 Letter Name, also know as the 42 Letters of the Name, which is in simplistic terms the spelling out of the spelled out form of the Tetragrammaton at the Level of Av (Chochma). This Name comprised of 42 Letters works with the Ana B’koach and has a standard gematria value of 708, which when a kolel of One is added is the same as that of what the Sefer Yetzirah (Book of Formation) refers to as the seven Doubles, or seven letters that represent the seven planets of the Zodiac and thus control fortune (mazal). It is also equivalent to the word Ketoret, as in the incense of the holy Temple. It also has a gematria katan value of 159, as in the 159 paragraphs in Devarim, the last Book of the Torah. When we add the gematria katan value of the upper 42 letter Name and the lower one, plus One for the kolel we get 159 plus 173 plus 1 equals 333. 333 is also the exact total of the lines, meditation letters, pairs, triplets, words, and letters in the words of the Ana B’koach itself. Moreover, 1.73… is the square root of 3. Now that we’ve established that connection, it appears not so coincidental that the location in the Torah where the 42 Places that the Israelites journeyed through in passage from Egypt to Israel, each beginning with a Mem and a Bet (to and from) and universally acknowledged by chazal to correspond to the Shem Mem-Bet or 42 Letter Name, is at Bamidbar 33:3. So 70 is a number and numbers are virtual places, so where is 70? The number 70 is obviously significant to the Torah, but 70 is not so much a number as a spiritual place located midway between Chochma/Wisdom (73) and Binah/Understanding (67) and the difference between the square root of 73 and the square root of 67 is .358650 with 358 being the value of Mashiach . Moreover, the sum of the integers through 73 (or 2701) less the sum of the integers through 67 (or 2278) plus the kolel of 1 is 424, the gematria value of Mashiach Ben David . The number 70 has the numerical value of the letter Ayin , whose ordinal value is 16, the same as the Name/word Eyeh (“ איה ”), meaning where, which is rather fitting for a place called 70. This place might be opposite the place called Ein (“ אין ”), or Nothing, which according to the Zohar denotes a spiritual place also between Chochma and Binah , called Keter and/or Atzilut the highest place/ sefira of G-d. When we spell the Ayin (“ אין ”) we see the juxtaposition of the letter Ayin (70) with the letter Aleph (1). What are the 32 Paths of Wisdom? We know from chazal that the letter aleph is broken down to two “ װ ” vavs and two “ ײ ” yuds and thus has a value or 32, which is spiritually quite significant because as R’ Chaim Vital of blessed memory, explains the greater universe is comprised of the 10 sefirot and the 32 paths between them corresponding to the 42 letters of the Mem-Bet Shemot. So it’s obviously fitting that we find a possible spiritual aleph preceding the Torah. According to the Sefer Yetzirah, this 32 connotes the 32 Paths of Wisdom, which G-d utilized in bringing the greater universe into being. And it is even more fitting that the Targum Yerushalmi translates the word Bereshit as “With Wisdom.” And since chazal says as above below, we should ask how this is reflected in the Torah and we see it reflected in the 32 Elohims in Creation, all beginning with the letter Aleph. And the 32 Paths are indicative of the 32 times the Tetragrammaton “YHVH“ is spelled out in the Torah with an interval of 32. And why Wisdom? Because there are also 32 times that the Tetragrammaton “YHVH “ is spelled out in the Torah with an interval of 73, the value for Chochma, or Wisdom. And since Aleph is also eleph, meaning 1000, there are also 32 times that the Tetragrammaton “YHVH “ is spelled out in the Torah with an interval of 1000. Moreover, according to the Baal Shem Tov, the Supernal Wisdom is called Aleph. It’s also notable that the letter aleph is present in all of the first 8 words of the Torah except the 5th one, “ שמים ” Shamaim , Heaven, possibly because it’s already present there before the “ ב ” Bet. What is the connection between the 5 Worlds and 32 Paths of Wisdom? With the help of Aryeh Kaplan’s scholarly analysis we find a definitive mathematical link between the 5 Books of Moses, 5 worlds, 5 words, and 5 levels of existence through the 5 dimensions that make up 5-dimensional hyperspace, in that there are 32 hyperquadrants that can be defined in that hyperspace, and that moreover, they correspond to the 32 apexes found on a 5– dimensional hypercube. In other words, with 5 dimensions or levels of existence folded into a single unified design, the points of reference or juncture points that stand out are 32, or 25. Interestingly enough 32 is also equal to 21 + 22 + 23 + 24, representing the unfolding of the higher dimensions. How does the light spread from the 32 Paths? According to Rabbi Chaim Vital of blessed memory, Torah light spreads through squaring and so it is with the 32 paths as when we square them, 322, we get 1024 spiritual depositories or juncture points, and the Torah has exactly 1024 different word values. According to chazal, all words with the same numerical value are spiritually related since in the spirit world closeness is determined by similarity of form (partially defined by the parameters of an object’s gematria) and not physical distance. To understand this better, we must note that while the 5 dimensional hypercube has 32 apexes, when it’s squared it becomes a 10-dimensional hypercube having 210 or 1024 apexes, which means we can conceive the Torah as a 10-dimensional hypercube with each apex having a different gematria value of ranging from 3 to 1500. And thus as the light of the 32 Paths of Wisdom is spread throughout the Torah it is sealed in with and signified by the Torah’s first letter, Bet, and its final letter, Lamed, which together have the value 32. How does this reflect the fractal nature of the Torah? To be fractal, an object must keep reflecting the same dimensions or parameters no matter how deep or what level of magnitude it’s examined, and so it is with the simple dimensions that define the Torah and the expansion of the 32 paths of wisdom. Abraham’s Sefer Yetzirah speaks of mathematical factorials (i.e. 5 X 4 x 3 x 2 x 1) and the Torah often utilizes the sum of integers, such as the 7 words of the first verse reflect its 28 letters and wisdom through 7+6+5+4+3+2+1 = 28 and the sum of the integers through 73 (Chochma) equals 2701, the total value of the same verse, so it’s interesting that the sum integers through 32 squared, or 1024, is 524800 and the sum of the names of the 5 Books of the Torah is 2480. And speaking of those 5 books, there are 28056 Heis “ה“, each of value 5, in the Torah and the natural log of 28056 is 10.24+, all relating back to the 5th dimensional hypercube. And why was it so important that there were 28056 heis in the Torah? Because, as detailed in The Genesis Prayer, the 28056 heis have a total value of 140280, and there are not coincidentally exactly 90,100 individual yuds (Y), heis (H), and vavs (V) in the Torah, which can combine to construct precisely 14028 Tetragrammatons (YHVH), or exactly 1/10th of the total value of the heis; and moreover, 90,100 is the exact sum of all the integers through 424, the value of Mashiach Ben David. And why did it have to work out to exactly 1/10th? Because there are two heis in each Tetragrammaton and together they total 10. There is always a deeper reason for everything in the Torah. What is the deeper meaning of the 90,100 Tetragrammatons? If the 70 verses of physicality feed off the aleph (1) how does it survive? This is like the Rabbis say in Pesikta Rabba 9:2: “A single sheep resides amongst seventy wolves. These wolves attempt daily to devour the sheep, but the Almighty saves it from their clutches.” The Aleph is constructed of an upper and lower Yud separated by a double barrier, which doesn’t permit the lower from accessing the upper, only the upper to give to the lower unilaterally and unconditionally. In discussing the connection of aleph and eleph the Arizal mentions the connection to the “one million shield-bearers of the first world” as revealed in the Zohar, and since the value of the lower yud is 10 and that of the lower vav above it is 6, we have 106 equals one million. Moreover, the shield as in the Magen David, or Star of David, is six pointed. How does the primordial Aleph connect with Moshe and Mashiach? As the primordial aleph connects with Moshe, we see that we can leave the Mem of Moshe alone and convert the Shin into a Bet using the popular gematria cipher called atbash, forming a Mem-Bet (42) plus the letter Hei (5) representative of the 5 words in this verse. When use the exact same cipher sequence on the word Mashiach (“ משיח ”) we form Mem-Bet (42) plus the letters “ יח ” Yud-Chet (18) representative of the 18 letters in this verse. And the letters Hei Yud-Chet spell out the word “ חיה ” Chaya , the level of soul that only Moses attained. And since 5 plus 18 is 23, the same as Chaya , it’s fitting that the word seventy (“ שבעים ”) is found 23 times in the Torah. How else does Aleph and Moshe connect? As we’ve previously stated the aleph can also be understood as eleph, the word for 1000 and while 1000 is equivalent to 10 cubed, 103, according to the Arizal, it also has an essential connection to Hashem and Moshe, both composed of the same transposed letters. He explains that Moshe has the numerical value of 345, the same as the Name, El Shaddai, “ EL ShDY“. And when El Shadai is spelled out “EL ShDY“ and 1 is added for the kolel it has a value of 1000. Without the kolel, El Shadai spelled out is exactly 999, or 3 times 333. And it just so happens that 999 is the value for both the Torah’s 1st and 3rd words together and its 2nd, 4th and 5th words, meaning it is repeated twice within the Torah’s first 5 words. If the verse V’Ydber Adonai El Moshe L’emor is so important, what of the verse V’Omer Adonai El Moshe L’emor, which according to chazal is at a higher level? While V’Ydber Adonai El Moshe L’emor needed to be repeated 70 times for us to make the full connect, the verse V’Yomer Adonai El Moshe L’emor only needs to be repeated 5 times for us to connect to the 5 worlds, etc. What is Moses’ connection to the 42-letter Name? We know from the Zohar that Moses was given 173 keys to the gates of Heaven and we know that this is an allusion to small gematria value (173) of the 42 letters of the Mem-Bet Shemot , which is interesting because 173 is the 42nd prime number when the 1 is included. When it’s not included it is the 41st prime, as in the 41 letters of the fully spelled out Ehyeh , another name of G-d that begins with Aleph and is known by chazal to also precede the spiritual creation of the Torah, and as in the 41 letters of the first verse of the ten utterances (commandments)—associated with the Keter, or crown, of the Torah, which just so happens to have a gematria value of 173. Moreover, the verse V’Ydber … is repeated 10 times in Shmot (Exodus) where the 10 Commandments were given. The square root of 300, which is the value of the Shin in Mashiach and Moshe and both the gematria atbash (reversed alphabet) value of the Tetragrammaton “ “(YHVH) and the gematria milui (spelled out) value of “ אלקים ” Elohim is 17.3…. Now, the physical Torah is written on the level of Zeir Anpin as expressed in the vav of value 6 that begins the verse V’Ydber Adonai El Moshe L’emor and indeed 60% of the verses in the Torah and all but 6 columns in the Torah. And the 70 Vavs that begin V’Ydber Adonai El Moshe L’emor total 420, or 10 times 42. Also, the sum of the square roots of the 5 words in the verse is 60.60; therefore the sum of the 70 verses is 4242.2, which is interesting because the value of the word seventy “שבעים” is 422. And while the 2nd Temple was destroyed in 70 CE, the 1st Temple was destroyed in 422 BCE, both 70 and 422 being forms of the same number 70. The numerical difference between 73 (Chochma) and 67 ( Binah ) is 6, but on the level of the upper the sefirot this is equivalent to 6000, because each expansion is on the order of 103 as opposed to Zeir Anpin where it is 102. For those that understand, this verse indicates the timing of the arrival of Mashiach. Are there any other letters concealed before the Bet of Bereshit. When we combine the Alef with the Mem of either Moshe or Mashiach we get “ אם ” Im as in Ima , mother , and thus Binah , the spiritual state that precedes Zeir Anpin . Appropriately enough Em (“ אם ”) can also mean female, womb and matrix, which the Torah actually is. According to the Arizal , the mem-sofit “ ם ” can be constructed of two dalets “ ד ” and two yuds” ײ ” and the aleph of two yuds and two vavs , which first of all, if we deduct out the four yuds that connect us to the Chochma spelled out level of the Tetragrammaton (“ יוד־קי־וי־קי ”) we’re left with “ ו־דוד or “and David” which brings a back to the 70 years of David and the Mashiach connection through him. Secondly, these 8 letters that comprise the primordial Aleph-mem , and can be said to represent the original 8 Kings and the world of Tohu “ תהו ” that existed before our Creation and shattered giving way to the Tree-of-life and the Torah. And thirdly, these 8 letters spell out “ י יוד יוד י ” ushering in the seed level of Chochma, and also since the dalet and yud make up the letter hei “ ה ” , they can spell “ יו יקוה ” ushering in first the masculine aspect of the Tetragrammaton and them the full complete form of it. What is the connection between the Aleph-Mem sofit and Mashiach? With the value of mem-sofit at 600, the two primordial letters add up to 601, which it states in Genesis is the year the flood ended and life started anew. It is also the sum of Moshe (345) and Aaron (256), the two figures associated with Mashiach. The Arizal and chazal say of Moshe: “whatever pertains to the first redeemer [Moshe] pertains to the final redeemer [Mashiach]. (Bamidbar Rabba 11:3)” and the prophesies regarding Moshe, “My servant” “also refer to the Mashiach [since] the numerical value of Shilo is the same as that of Moshe’s name,” and Shilo refers the Mashiach, as in the verse from Genesis 49:10: “…until Shiloh arrives.” And as for Aaron HaCohen, he is the Torah’s direct link to Mashiach and his arrival date, but that is an entire other article unto itself. How can the souls of the 600,000 trace through Moshe if he was amongst them? We’re not suggesting, G-d forbid, that anyone should add an aleph before the Torah, only that there is a spiritual one present there at all times. And as we trace the soul root of the 600,000 Israelites we note that Adam begins with Aleph and is followed by dam , blood, so it can be understood as the blood of aleph , or alternatively, mem sofit from aleph , suggestive of our primordial Aleph-mem connection above and since mem sofit —which spiritually denotes pregnancy–has a value of 600, it’s also the 600 souls from Aleph (1) or 600 times 1000 ( eleph ), 600,000. And as for the letter dalet in Adam, there are exactly 7032 of them in the Torah, a possible reference to the 70 verses, etc and the Aleph of value 32 to which they connect. If all the Jewish souls traced through Moshe, what of Abraham and Adam? And with the aleph preceding the Bet, the Torah spiritually begins with aleph-bet-resh as in the name Abraham (248), leaving the hei –mem sofit (“the mem ”) as in the hei and mem of Moshe or simply the mem sofit from the name Abram. The hei –mem from Abraham, of numerical value 45, is the same as Adam, completing the scenario of connected Abraham to creation by showing us the direct link from Adam. We further know from the Arizal that the 45 of Adam, and as we’ve just shown, Abraham, is a direct reference to the spelled out aspect of the Tetragrammaton on the level of Mah , or Zeir Anpin . It is thus understandable that the Zohar and Torah says that man was created in the image of Elohim (“ אלקים ”) and that it is written in Devarim 14:1 “You are sons to G-d your Elohim,” since the outer Aleph and Mem-sofit form mother/womb and are primordial as explained above and the inner Lamed-Hei-Yud “ להי ” have a combined value of 45 as in Adam, man. It should be noted that while the aleph through the 32 paths connotes space in the spiritual sense, “ מ ” mem of value 40, connotes time in the Torah, as every critical phase of the Torah lasted for either 40 days or years, which on a certain level of understanding is synonymous. And as for that dalet in Adam, it was passed on to Yehuda, whose name is a compilation of the Tetragrammaton and the letter dalet and whose name is found 42 times in the Torah without prefixes. So exactly where and what is the place of 70? Since we know it’s between Binah and Chochma and opposite Keter in the tree-of-life, which can be visualized as two stacked cubes tiled downward to expose the uppermost face of the upper cube, then the diamond face of the upper cube his 61 as its apex for “ אין ” Eyn and Keter, 73 ( Chochma ) as the right point, 67 ( Binah ), as the left one and 70 is the bottommost one, or Daat (“ דעת ”), which has the letter “ ע ” Ayin (70) as its central letter and is where the 70 sefirot of Zeir Anpin originate. What is the connection of Keter/Ein to the Torah? And for those that want to understand better the relationship between Ein and Keter and the place of the Torah we have only to look at “ אין ” Ein (61) less “ אמ ” Em (41) equals 20, Esryim (“ עשרים ”) of numerical value 620, the same as Keter —the reason according to the Arizal that a sukka” סכה ” has a limit of 20 cubits in height—and the quantitative value of all the words, letters, and verses of the Torah added together is 6252 with 625 being the value of “ הכתר ” H’Keter , “The Crown,” and since, as Rabbi Chaim Vital of blessed memory, explains, “all Torah light spreads through squaring” we can see from where the fountain spreads. We know that the first verse of the Torah has 28 letters and 28 is the value of the word for unification, and that the first verse is the unification point between the Torah and the upper words. We also know the wisdom is spread through the Torah as described above and that the value of those 28 letters is 2701 and moreover that 2701 is the sum of all the integers through 73, which is the value of Chochma, wisdom. We further note that, as R’ Chaim Vital has pointed out, Torah light is spread through squaring, and in particular the squaring of the individual letters in a word, so when the phrase Ten Sefirot of Nothingness “Y EYN” of Abraham’s Sefer Yetzirah, representing the entirety of primordial existence, works out to 102 + 12 + 102 + 502 or 2701, we see the how the linkage to the upper words is established for us. It goes beyond the comprehension of our discussion, but for those that understand, the 60 represented by the letter, Samech (“ ס ”) is found in the center of them all (within the cube), and if you calculate the difference between each of the four points and the number 60, they will add up to 31 ( “ אל ‘ ) G-d, and 31 plus 60 is 91 the unification of the Tetragrammaton and its spoken ( Malchut ) equivalent Adonai, the juncture of the 70 sefirot of Zeir Anpin with the upper worlds. This place of 60, which can be thought of as a vessel, (“ כלי ”) of numerical value 60, is controlled by the Name (“ סאל ”) of numerical value 91. To complete our discussion, the value of the spelled out letter “ ע ” Ayin (70) is 130, the same as Sinai and “ סולם ” (ladder)—as in the ladder of Jacob—both of which begin with Samech and on a certain level of understanding are synonymous with each other and with Zeir Anpin and the Shem Mem-bet, all connections from our world to the spiritual realm. And if we ask where the primordial mem-sofit of the Em (“ אם ”) before the Torah fit in all this, we must note that its value is both 40 and 600 and while 60 less 40 equals 20 ( keter, “ כתר ” ), there are two parts to the crown, the large round base and the crowning ornament or jewel represented by 600 and 20, or mem-sofit and the endless, keter of keter . It’s endless because 20, Esryim (“ עשרים ”) of numerical value 620, will always give us another Keter . It’s not coincidental that 600 also forms the base for 611, Torah: 612 Brit /covenant; 613, the mizvot /precepts: 616, “ התורה ” H’Torah ; and 618, which among other things is representative of .61803399, phi, the primordial constant that not only helps create the fractal nature of the Torah and our universe, but controls all spiraling growth in the universe. And what is the value of 20, it’s the value of the spelled out letter Yud (“ יוד ”), the tip of which we know from the Arizal is where keter is located. And do not think for a moment that any of this is coincidence or that there being 62 yuds , totally 620 (Keter) in the 10 Commandments, or that Moses’s pure name (“ משה ”) being mentioned 616 times in “the Torah” of value 616 is coincidence, or the Moses’s name permutes into Hashem “ השמ ” , “The Name,” G-d. To continue with the explanation of the Arizal, 20 is also the value of the letter Caf (“ כ ”), which in starting off the word Keter (CTR), is representative of it and thus considered Keter in its own right. Another reason the Arizal gives that caf is really keter is that Caf is spelled Caf-Pe (“ כפ ”) and those two letters add up to 100, synonymous with Keter . Interestingly, when we use the Pe sofit , they add up to 820, the same as the famous Torah verse that Hillel, of blessed memory, said encapsulated the entire Torah, “Love they neighbor as thyself.” Moreover, if we explain the word Keter (“ כתר ”), we see that it too is split into the value 20 for Caf and 600 for Tav and Resh as in the word, Torah (“ תורה ”), which we know is comprised of the Tav-Resh of Keter and the Vav-Hei of the Tetragrammaton (“ יקוק ”), but this leads to a much longer and deeper discussion. So the Aleph precedes the Torah and gives rise to the Aleph-bet , the Names of G-d and the Mem (M), which also precedes the Torah, and which combines with the first Bet (B) in the Torah to form the Mem-Bet Shemot , the 42-letter Name, which gave rise to Creation and the rest of the Torah. And for those that understand the mem of value 40 compliments the Samech of value 60, making 100, also considered keter. And just as we calculated with the letter Samech , the total difference between the values of the four cardinal points and value of the mem (40) is 101, which is the value of the Archangel Michael, synonymous with protection. It’s also the value of one of the Names of the 72 triplets, NNE, and along with the primordial Aleph this is one of the secrets to the two verses contained between the two backwards facing nuns that many chazal describe as a separate book of the Torah within pasha Behalotcha..
And just as we calculated with the letter mem , the total difference between the values of the four cardinal points and value of the mem-sofit (600) is 2669, which when we add the 32 for the Aleph and/or the 32 Paths of Wisdom, we get 2701, the value of the Torah’s first verse. None of these calculations are meant to show how the letters, or the Torah, are generated in a mathematical sense; they are meant to be used as a spiritual blueprint to the organization and processing of the universe and how it interacts with the Torah and our world. The primordial connection to the upper 3 sefirot is made by the letter Shin “ש” in that the sum of the standard value of Ein, Chochma and Binah plus their respective 3 ordinal values plus the kolel of 6 is 300, the same as that of the letter Shin “ש.” With the Shin located just above yet behind the Aleph, which itself is just before the Mem, we can now understand Abraham’s Sefer Yetzirah, in which he explains that the after the creation of the ten sefirot from Nothingness, he created the 3 doubles, Aleph, Mem, Shin “” beginning with the Aleph, representing the 32 paths, as explained above. And from them are born Fathers. in the Universe are air, water, fire. If these are the upper 3 sefirot how do they connect to the Torah and physicality? The first of the 7 doubles described by Abraham and corresponding to the 7 lower sefirot of the unified Zeir Anpin and Malchut is Bet “”, the first letter of the Torah and the place where our physicality and indeed, reality, begins to take form. How do the Three doubles connect with the 42-Letter Name and physicality? If we add the numerical value primordial Samech, the Ayin of Daat, and the Aleph, Mem, Shin as discussed above, we get 471, the same as the sum of the first letters of each of the seven lines of the 42-letter Name, which collectively represent the seed level of each of the 7 sefirot from Chesed to Malchut, and the drawing of light in our world and lives. And in case we were to think this is a coincidence, the last letter in each of the 7 lines sums up to 2480, the same as that of actual Five Books of Torah (913, 746, 317, 248, 256), whose average value is 496, the same as that of Malchut. How is the Connection spelled out? The primordial doubles Aleph, Mem, Shin are followed by the Torah’s first two letters Bet Resh. When we separate the Primordial doubles, Mem-Shin from the from the hei and the Yud-Chet from Moshe (Mem-Shin- Hei) and Mashiach (Mem-Shin-Yud -Chet) respectively, and combine them with the Bet-Resh of Bereshit, we get Bet-resh-yud-chet-hei, which spells out the word Escape in Hebrew, but more significantly, when we permute these 5 letters, we get chet-bet-yud-resh-hei, which translates to “Connection.” And in connection we find redemption. And this Connection allows us to Escape the reality of our mundane world and reach the spiritual one.